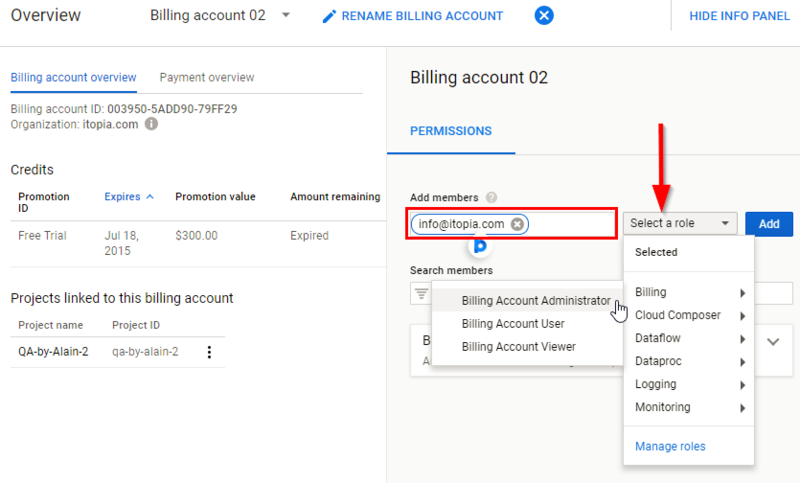 Below are the steps to add your accounting or another person from the company to your billing account. Administrators receive monthly invoices and have rights to make changes to your billing information and resources. 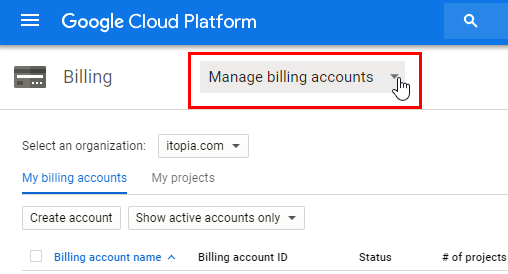 Only an administrator that already has access to the billing can give other members access to it. 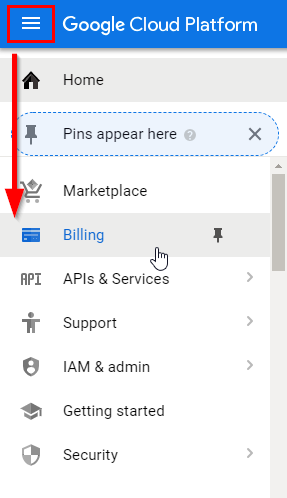 Login to GCP Console and select "Billing" from the main menu on the top left. 4. You will get a section on the right of the screen to add administrators to your account. 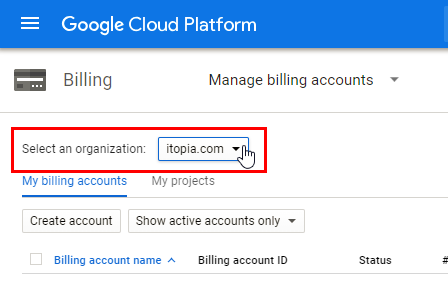 Provide an email address (must be Google email) and select the admin role. 5. Then click "Add" and the new user will get the selected access effective immediately.